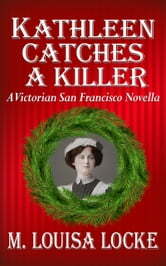 As 1880 comes to a close, the O'Farrell Street boardinghouse servant, Kathleen Hennessey, expects to spend a quiet week while her employers, amateur sleuths Annie and Nate Dawson, are off spending the Christmas holidays with Nate's family. However, when she agrees to help out one of her friends, Kathleen discovers that a simple case of a servant being dismissed without notice has turned into a complicated and dangerous puzzle that she is determined to solve. 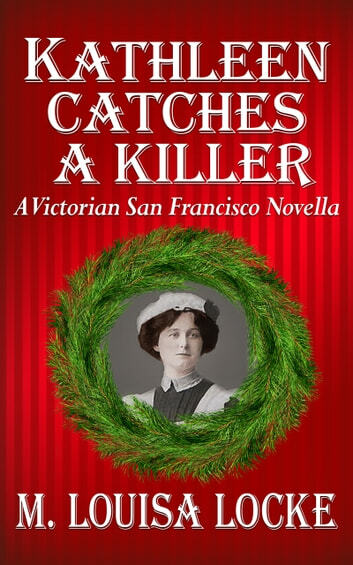 While featuring minor characters from Locke's USA Today bestselling Victorian San Francisco mystery series, Kathleen Catches a Killer contains all the light romance, humor, and suspense of the longer works. Chronologically, this novella comes right after the events in Pilfered Promises, but it can be read as a stand-alone and an excellent introduction to this mystery series about the gas-lit world of the late 19th century. If you have enjoyed the previous books in the series, you'll also enjoy this one. Have enjoyed all of M. Louisa Locke Victorian Mysteries! !